Atlantic Reefmaker staff are attending the annual South Carolina Beach Advocates meeting, held February 12-13. The meeting is located at the Wild Dunes Resort, Isle of Palms, SC. 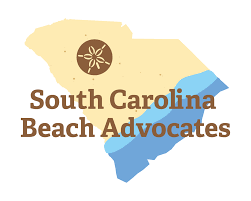 The staff looks forward to meeting SC beach communities, understanding their challenges and serving as a resource to these communities as the opportunity presents itself. WINNABOW — A man-made reef system on Brunswick Town/Fort Anderson State Historic Site’s waterfront received an extension this month.